Coffee makers are a regular part of our homes, our workplace, and anywhere we go. There may be different types of coffee – iced coffee, cappuccino, frappuccino and other kinds in coffee shops these days – but the best ones and the most spirited ones are brewed coffee. Brewed coffee is commonly made using a coffee maker. As an integral part of your household and your morning routine, it is advisable to pay special attention to your coffee maker. Is it still working properly? Is it clean? Simple questions like these that we normally ask on our other kitchen and home appliances. 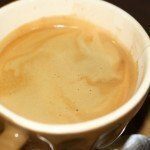 Indeed, coffee addict or not, maintaining your coffee maker can save you in so many ways, especially in the morning. 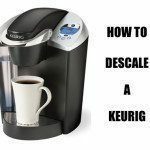 Here are some ways to maintain your coffee maker. 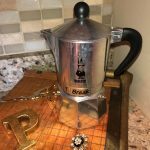 Regular cleaning and keeping your coffee maker clean will prevent coffee residues from taking root within the coffee maker, which can affect the brew of your coffee if there are too much of it. When you brew, and even if you pour all contents from the coffee maker, residues might still be left inside which can affect your next brewing. A simple and old trick for cleaning glasses, silverware and even coffee makers is the use of water and vinegar. The old water and vinegar trick has been used for many centuries in removing stains from food, and in this case, coffee stains and oils. Mix water and vinegar; pour the substance inside the coffee maker; brew the mixture and then rinse with water to flush out the vinegar. Repeat the rinsing until the vinegar smell is removed. After cleaning with water and vinegar, or in any case, you refuse to use the water and vinegar technique, you can simply use dish washing soap to wash the coffee maker. If you used water and vinegar first, you can just do the normal dish washing instead. You can also try the trick of mixing dish washing soap along with vinegar to ensure that residues and the old coffee smell are removed. If not in use, it is advisable to keep the coffee maker dry. This is to prevent moisture from clogging the machine which can affect the brewing of the coffee. After washing the coffee maker, wipe with a dry cloth and keep it dry until you use it again. Like your other appliances and home furnishings, it is strongly advised to always inspect for any damage to your coffee maker that may be incurred through regular use. 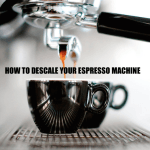 This can prevent untoward accidents that can come from broken glass, electrical wiring, and other types of damages that can happen to a coffee maker. Check your coffee maker regularly and make sure that there are no damages and no issues with its proper functioning. 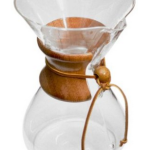 This will also ensure that you get to brew your coffee the right way and you get the most out of your brewed coffee. There may or may not be added maintenance necessary to keep your coffee maker working properly. Regardless, it is important for this machine and for any other furnishings in your home, to be well maintained to make sure that you get the most of what you paid for. 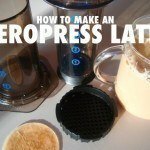 Keep your coffee maker well maintained so you can drink the best home-made coffee. 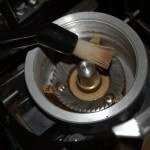 We recommend doing a little bit of research into your particular machine to see what kinds of issues, if any, others have run into in their coffee-making adventures. Coffee is a regular part of our daily routine, for a large percentage of us. 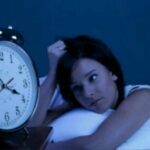 Some are already dependent on their morning caffeine that a brew is always on in his or her coffee maker. To make sure that your coffee maker works properly and avoid coffee emergencies in the morning, maintain your coffee maker and keep it clean!